Character. Cost: 5. STR: 3. 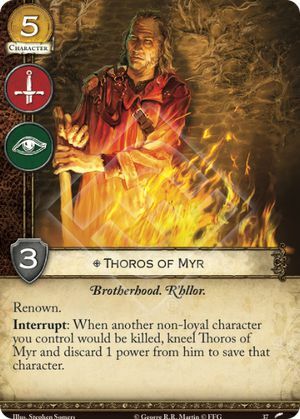 Interrupt: When another non-loyal character you control would be killed, kneel Thoros of Myr and discard 1 power from him to save that character.